Looking for information on Mutual of Omaha Medicare Supplement plans? Omaha insurance company has been around for quite some time; they were chosen to administer Medicare Part A and B at Medicare’s inception back in 1966. Thus they were among the first Medicare insurance companies to offer any Medicare Supplement plans and have retained their reputation for competitive rates and good customer service ever since. In this article, we will discuss the top 3 plans, Mutual of Omaha Plan F, Mutual of Omaha Plan G & Mutual of Omaha Medigap Plan N.
We like to give our clients and site visitors a lot of information about Medicare Supplement insurance companies that they may decide to compare. At the same time, we’re aware that many of you just want a chance to compare quotes for Mutual of Omaha Medicare Supplement Plans and other companies that offer Medicare Supplement plans. Naturally, we’re here to assist you with that too. You can either check local quotes rapidly with our online quote form or call our toll-free number to discuss your needs with a live agent. These days, Mutual of Omaha isn’t the largest provider of Medigap plans in the country. At the same time, they have a very stable and consistent share of the market with retention rates that may exceed 90 percent. They also aren’t one of those new, small insurers that have popped up just to take advantage of the large Baby Boomer market, so it’s safe to rely on them for consistent service, competitive premiums, and financial stability. Rising medical costs: The good news is that seniors can expect to live longer, but the bad news is that this contributes to even more unpredictable costs. According to a study reported by Time, healthcare costs have increased by 11 percent just because people are living longer. The difficulty of planning decades into the future: It’s no surprise that the biggest concern among older folks is paying for medical costs during retirement, according to a survey by Edward Jones. Retirees can’t predict how long they will be retired, and they can’t predict future medical costs. Why would you consider Mutual of Omaha Medicare Supplement plans? Certainly, Original Medicare will offer comprehensive coverage for medical and hospital costs. At the same time, almost all beneficiaries have some other plan to give them additional benefits because of the many copays, coinsurance payments, uncovered services, and deductibles that cause gaps in coverage. The best Medigap plans will fill in these gaps to reduce or even eliminate surprising medical bills during a time of life when it’s so important to budget carefully. With a good supplement, you just need to pay your premium and let Mutual of Omaha or another quality insurer worry about the rest. You enjoy total freedom from HMO or PPO network rules and can usually count on your policy anywhere in the United States where Medicare is accepted. Some of the most robust Medigap plans even cover overseas urgent care. All Mutual of Omaha Medicare Supplement plans follow the standards that have been set by the government. Once you figure out which supplement will meet your needs the best, you are free to simply shop around with Mutual of Omaha and other quality insurance companies for the best monthly prices. Some people are quite satisfied with certain Medicare Advantage plans. MA may offer low monthly prices and even include Part D. However, almost every MA company uses a network to keep costs lower. If you want to roam around in your RV or cruise on the sea, you may find that your options are limited with your MA plan. Medicare Supplement plans allow you to visits any doctor or hospital in the country that excepts Original Medicare. Which Mutual of Omaha Medicare Supplement Plans Should You Consider First? Of all of the Medicare Supplement plans, Mutual of Omaha Medigap Plan F has proven the most popular in the past. It’s the most robust, so owners shouldn’t have to worry about out-of-pocket expenses, Part B excess charges or skilled nursing facility care; however, it’s also almost always the most expensive because of the richer benefits. Some people will save money by paying more for their monthly rates and then letting their Mutual of Omaha Medicare Supplement Plan F pay the bills. Mutual of Omaha Plan G will pay for everything that Medicare Supplement Plan F benefits will pay for but the yearly deductible amount for Part B, this is the main reason the monthly premium is lower on Mutual of Medigap Plan G. In recent years, this annual deductible for Part B services has been around $180. Mutual of Omaha Medigap Plan N is a budget-friendly solution with benefits that will still help you keep most medical costs from getting under control. It doesn’t pay for the annual deductible for Part B or for charges that are higher than the amount that Medicare allows. The biggest difference with Medicare Supplement Plan G or F is that Mutual of Omaha Medicare Plan N requires a $20 copay for doctor’s visits and for trips to the emergency room have a $50 copay that aren’t followed by hospital admission. Even though Mutual of Omaha Medicare Supplement Plan F will almost always cost the most, it’s robust coverage of just about everything may save you money if you need to rely upon your health insurance. Of course, Mutual of Omaha Medicare Supplement Plan G may save you money because the difference in price between Medicare Plan F and Medicare Plan G is often more than the cost of the Part B Deductible. Since the deductible is relatively modest, Mutual of Omaha Plan G might help you save some money without effort or risk. Of the Medigap plans, this one is enjoying the most increase in popularity recently, and this is probably the reason why. If you intend to mostly see doctors who bill within Medicare guidelines, you might consider Plan N as a way to save money every month when you pay for your supplement. Plan N has also become more popular lately as relatively healthy seniors look for ways to save money without taking a significant risk. Does Mutual of Omaha Medicare Supplemental Insurance Cover Prescription Drugs? Mutual of Omaha does not offer any stand-alone prescription drug plans, and Medicare Supplement plans do not cover any prescription medications unless it falls under Medicare Part B. You will need to secure a separate Part D plan for your medication coverage. For many people, the best time to enroll in Medicare Supplemental insurance is right when they first get Medicare Part A and B. Typically; this is the month that they will turn 65 years old, though some people might delay their Part B because they still have health insurance from work or another source. At the time of first enrollment, Medicare gives you a Guaranteed Enrollment Period. You can get accepted for Mutual of Omaha Medicare Supplement plans and other Medigap plans at this time without having to provide the answers to any health questions on your application. You may also qualify for guaranteed acceptance at other times because you’ve lost your plan, moved away from the service area, and for various other reasons. You are still welcome to apply for Mutual of Omaha Medicare Supplement plans outside of these Guaranteed Enrollment Periods. If you’re relatively healthy, you may get accepted at a standard or even a preferred rate. If you have more serious medical issues, you may get offered a higher price or even turned down. If you think you’d like to switch to a Mutual of Omaha Medigap plan, you can always discuss your specific questions confidentially with one of our licensed agents. Note that these samples of rates for Medicare Supplement plans from Mutual of Omaha should only be considered examples. The insurance company doesn’t endorse you, and we simply pulled prices that were valid for certain areas and for a particular individual at the time of publication. Even though it’s likely that your own Medigap rates will be somewhat different, this gives you a chance to see how prices may vary because of plan type and general location. Mutual of Omaha Medicare Plan F and Plan G: You can see that the price difference between Plan F and N could range from about $40 to $50 a month. If the Medicare Part B deductible stays the same, your savings should more than make up for paying the Part B deductible. Of course, this deductible might change, so you may consider Plan F as protection against future increases in Medicare cost-sharing. Mutual of Omaha Medigap Plan G and N: Price differences average around $30 a month. That would certainly make up for one $20 copays at the doctor each month. It’s hard to predict what your future medical needs will be; however, if you do not anticipate needing many medical services, Plan N will still do a good job of protecting your pocketbook with robust benefits and a cheaper monthly price. If you do end up buying Mutual of Omaha Medicare Supplement Plan N, you might stash some of your savings into an emergency fund that you can use in case you need to pay copays at the doctor’s office or emergency room. Also, Plan N won’t pay for services that get charged over the Medicare-allowed amount, so you may need to be more careful when looking for providers. Why Consider Mutual of Omaha Medicare Supplement Plans? Besides having a reputation for competitive prices, this insurance company achieved great brand recognition through programming and conservation efforts associated with Wild Kingdom and other worthwhile causes. The insurer’s family discount is one of the most generous in the country, and the sample prices that were listed above did not account for potential savings. As you search for your own personalized information about various plans, you can learn how the discount might apply to you and other family members. Despite this insurer’s age, they have invested in useful technology. Very often, they can approve electronic applications within minutes, and they also give you the ability to get your policy approved months in advance of taking Medicare, so you’ll be ready. You or your agent can also handle a lot of customer service issues over the internet, and this can keep you from waiting by the phone or the mailbox. By now, you should understand that a particular Medicare Supplement will cover the same things if you buy it from this insurance company or another one. 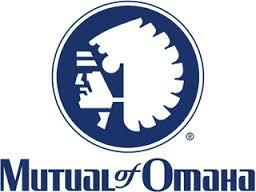 For example, Mutual of Omaha Medigap Plan F will give you the same benefits from any insurance company. This gives you the freedom to simply find reliable, brand-name companies that offer competitive prices. We chose to pull Mutual of Omaha Medicare Supplement plan sample rates for selected ZIP codes in Illinois, Michigan, California, Texas, Pennsylvania, and Arizona because they represent a good cross-section of the United States. Now you can get your own customized information by using our quick quote form to see competitive offers within seconds. If you’d rather speak with a qualified agent, you are also very welcome to call with the toll-free number you can find listed on the site. We’ve worked with hundreds of Medicare recipients over the years and have learned that there isn’t one right choice for everybody. Some of our clients will find that another Medigap insurance company may have more competitive prices, but others may decide to enroll in MA plans instead of buying a supplement. We hope to offer you customer service that will give you the information to make a good choice for yourself. Please note: We are not Mutual of Omaha, this is our general opinion of Mutual of Omaha Medicare Supplement plans. Refer to your complete policy for full coverage details.